Hallandale Construction Debris Removal service from a reputable company such as XS Trash is sure to impress you! Our crew will arrive to your site on time, and will work as fast as possible to remove your junk. After removing your debris, we will clean your site and make it spotless. 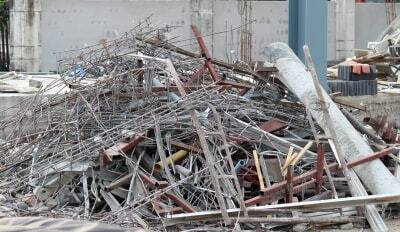 Construction debris removal service is more affordable from XS Trash than most other companies. Our recycling techniques are environmentally friendly and cost-effective. Our friendly staff is devoted to providing you with exceptional debris removal service, at an affordable rate. We offer same-day service when requested. You may call us for a free consultation! We are ready to assist you with your debris removal needs. Hallandale Construction Debris Removal service is one of many services that we offer. We also offer property clean out, old furniture removal, hoarding junk cleanup, warehouse junk removal, old appliance removal, and much more. If you want, we can also remove your debris with a bobcat. We would send a professional, XS Trash licensed bobcat operator to your site to do the work for you. You will be very impressed with how much we can remove at once! Hallandale Construction Debris Removal from a full-service company like XS Trash will never let you down. You can always count on us to provide you with fast and flawless removal services. We have huge trucks that help us remove a large quantity at once, which means less trips for us and more savings for you! We can remove one item, or a truck full of junk. It really depends on your individual needs. Our Hallandale Construction Debris Removal service has an excellent reputation and is favorite among our customers. We are recognized as one of the top construction debris removal companies around. We guarantee our work and will do everything we can to meet your needs. Call us today to have your construction site cleared out! Licensed & Insured Construction Debris Removal, Junk Removal, Junk Pickup & Hauling.